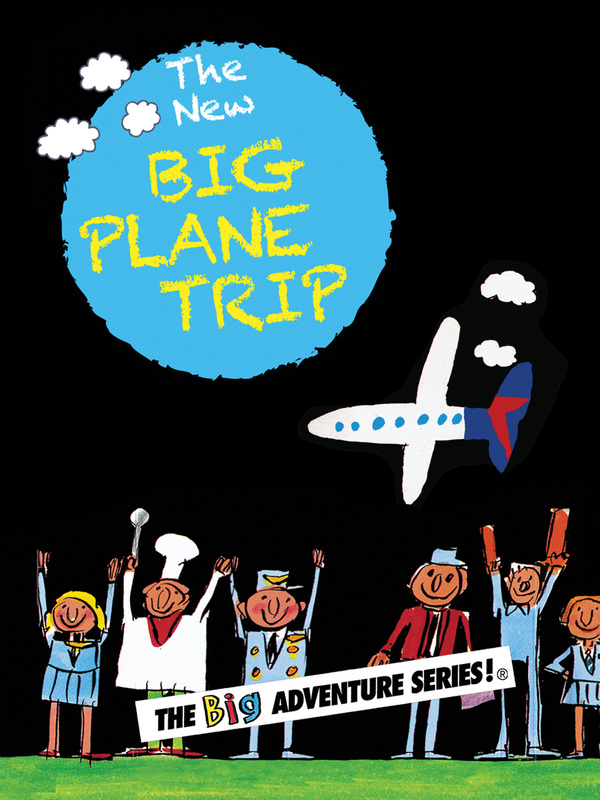 The NEW BIG Plane Trip, the latest episode of The BIG Adventure Series® has won a coveted Parents’ Choice Awardgiven by the Parents’ Choice Foundation, the nation’s oldest nonprofit guide to quality children’s media and toys. THE NEW BIG PLANE TRIP Winds Special Jury Award! 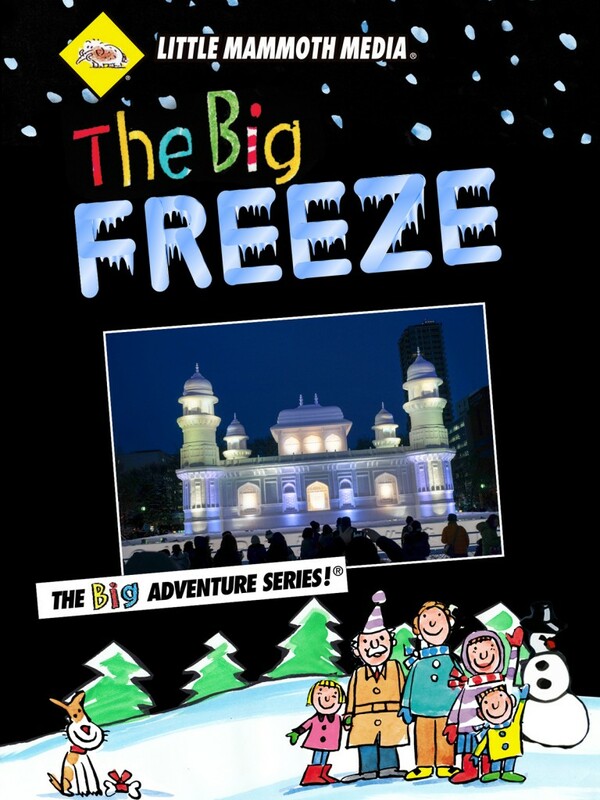 The NEW BIG Plane Trip, the latest episode of The BIG Adventure Series® has won a Special Jury Award at the 51stAnnual WorldFest-Houston, the oldest Independent Film and Video Festival in North America. This year’s festival featured over 4300 entries from over 40 countries around the world. WorldFest, founded 1961, has a long list of “discovered” film greats such as Steven Spielberg, George Lucas, David Lynch, Ridley Scott, Oliver Stone, Atom Egoyan, Randal Kleiser, Ang Lee, Robert Rodriguez, the Coen Brothers, John Lee Hancock and many others from their beginning efforts for film submissions early in their careers. 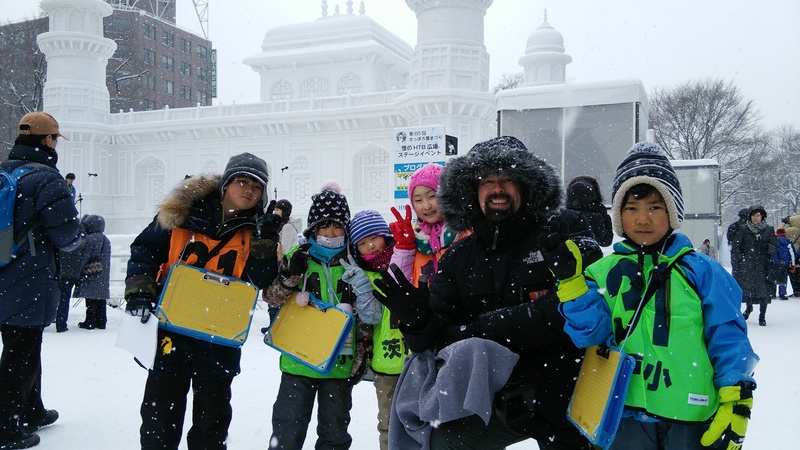 Bill VanDerKloot with a kindergarten class at the Sapporo Snow Festival while shooting THE BIG FREEZE. The University of Georgia Special Collections Library houses some of the state’s most valuable historical archives – including the Brown Media Archives, the third largest collection of media in the world. 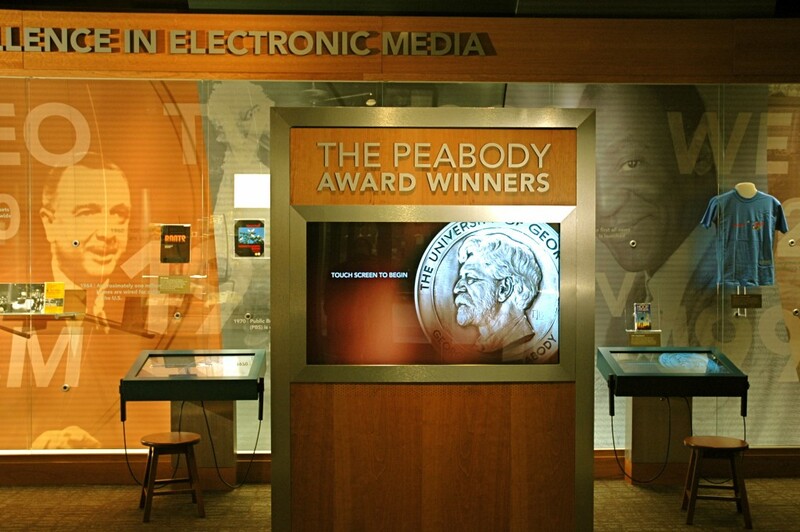 The Brown Media Archives includes the famous Peabody Collection as well as historic films, photos, radio shows and TV broadcasts. 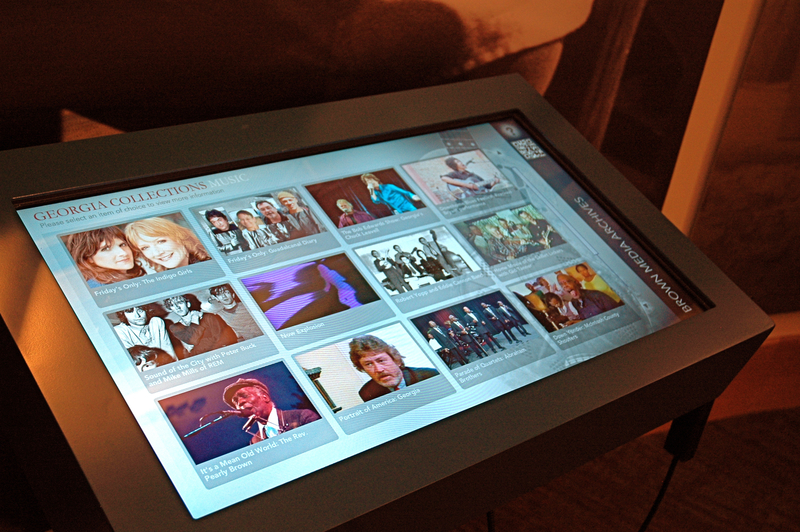 VanDerKloot Film & Television designed and created 13 interactive kiosks that allow museum visitors to access hundreds of different media clips from the library’s collection, as well as search through the complete Peabody Awards database. Our creative team worked with Library administration, exhibit designers and technology vendors over a 12-month period to take the interactive kisoks from idea to reality. We designed the user interface, the database software, the attract screens, as well as edited the many hundreds of clips taken from thousands of films housed in the Archives. 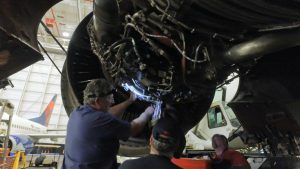 Flying the Secret Sky tells a story of passionate risk-taking, of young men braving dangerous flights in primitive conditions, in aircraft never built for the job. These “cowboys of the air” are forgotten heroes of the air war, men who flew without guns and embodied an improvisational spirit that many historians agree was key to Allied victory. In all they delivered over 10,000 planes for the British war effort. 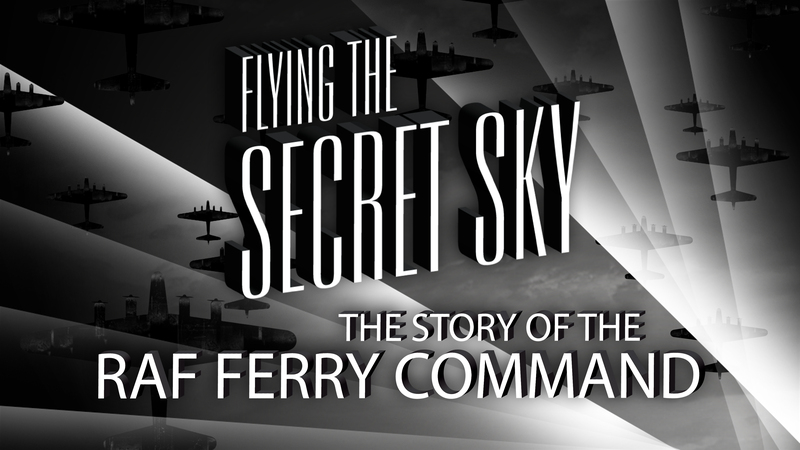 Flying the Secret Sky is told by the flyers themselves, including Air Commadore Taffey Powell, Kirk Kerkorian, and Bill VanDerKloot, the American pilot who flew Winston Churchill during the war. Included is never-before-seen home movie footage of Churchill flying in the American-built B-24 Liberator that safely delivered the him to vital war conferences and secret meetings. Also included is rare footage of Ferry Command aircraft and crews from archives around the world, as well as modern reenactments and CGI. 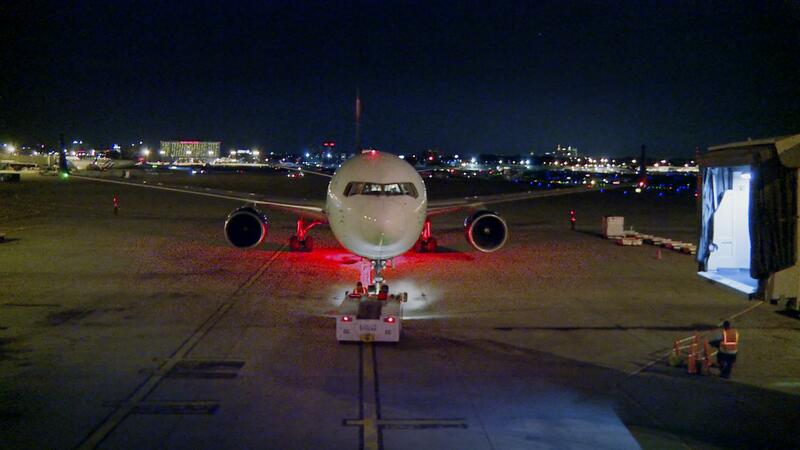 We have also secured footage from aviation museums and archives, including the Smithsonian Air and Space Museum. Before the U.S. had even entered the War, American pilots comprised over half of the civilian pilots that flew the experimental Ferry Command routes. Theirs is one of the great unknown stories of the war and of aviation history. Their real-life stories remain untold, until now. “This is a smashing documentary. Mesmerizing. The whole concept of pulling planes across the Canadian North Dakota border is stunning. Kerkorian in the ferry command? Who knew? And Americans and Canadians flying Churchill on that secret mission is fascinating. 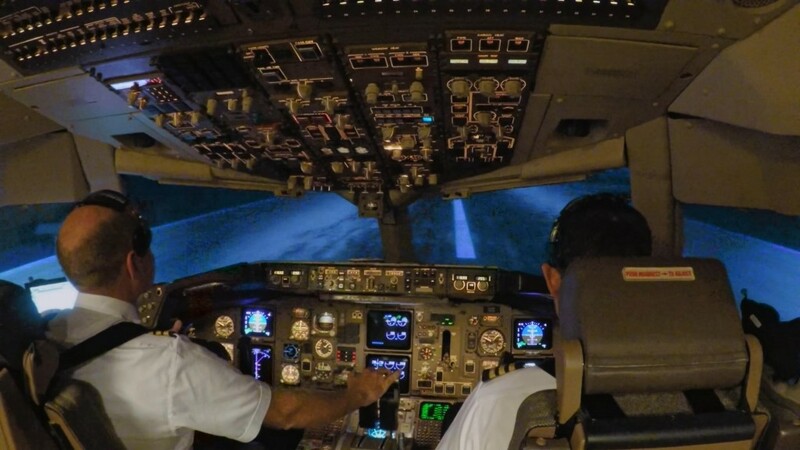 Great footage. 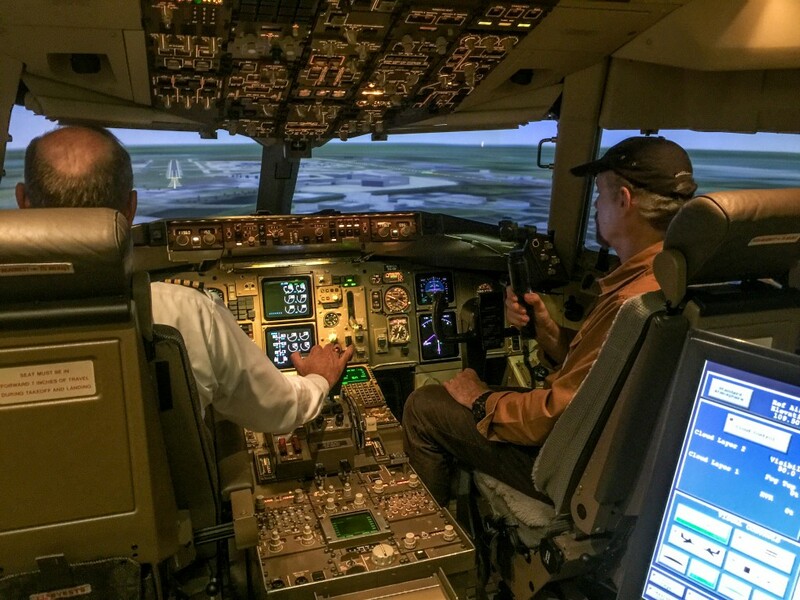 “I was moved to tears—and got a fair-sized lump-in-the-throat—during a screening of FLYING THE SECRET SKY. What a wonderful achievement! You captured—and I felt lifted by— the spirit of bravery, service and sacrifice those men showed in such difficult times. It’s the sort of film that should be mandatory viewing at home and in schools all across the country. “I caught the film over the weekend, & thought it utterly superb! You did justice to a great, great subject. Your film took my breath away. On many levels, I was struck by your insight, your vision, and your story. Director William VanDerKloot discusses the shoot with President and Mrs. Carter on the soundstage at Magick Lantern. 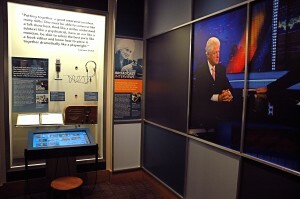 The VanDerKloot team created a series of seven video installations for the renovation of the Jimmy Carter Presidential Library and Museum. The videos highlighted the work of The Carter Center around the world. Highlights of these include interviews with President and Mrs. Carter, as well as a discussion of the Iran Hostage Crisis with President Carter and NBC News anchor, Brian Williams. 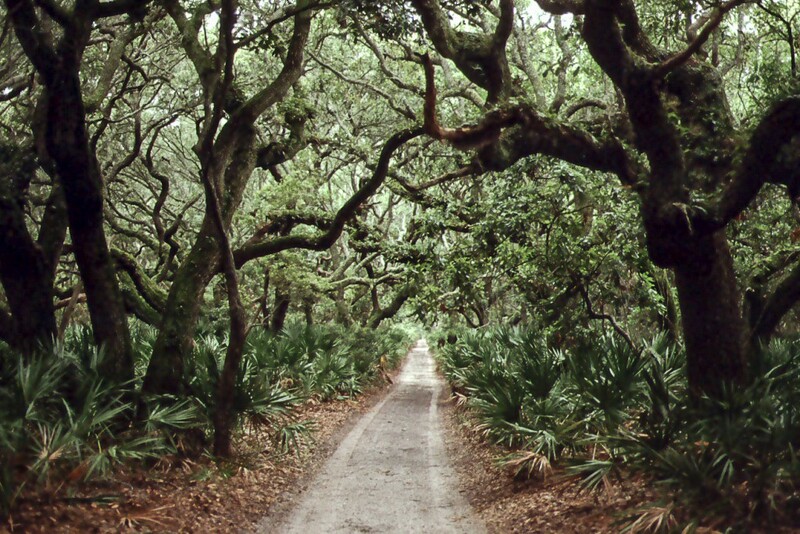 The main road on Cumberland Island. 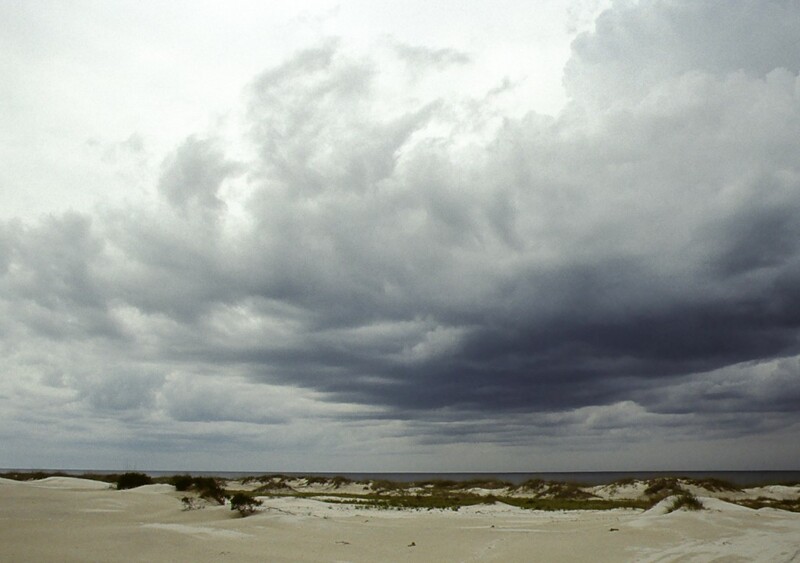 “CUMBERLAND: Island In Time” is an award-wining documentary that tells the rich history of this unique and wild place — from it’s earliest beginnings to its establishment as a National Seashore. Located just off the East Coast of the United States yet, a million miles away, Cumberland has been a haven for pirates, prisoners, and Presidents. Perhaps best known as the secluded island paradise where John F. Kennedy and Caroline Bessette were married, the island has been home to Nathaniel Greene and the wealthy Carnegie family. The film features rare never-before-seen footage from Carnegie family home movies and many unpublished archival photographs. 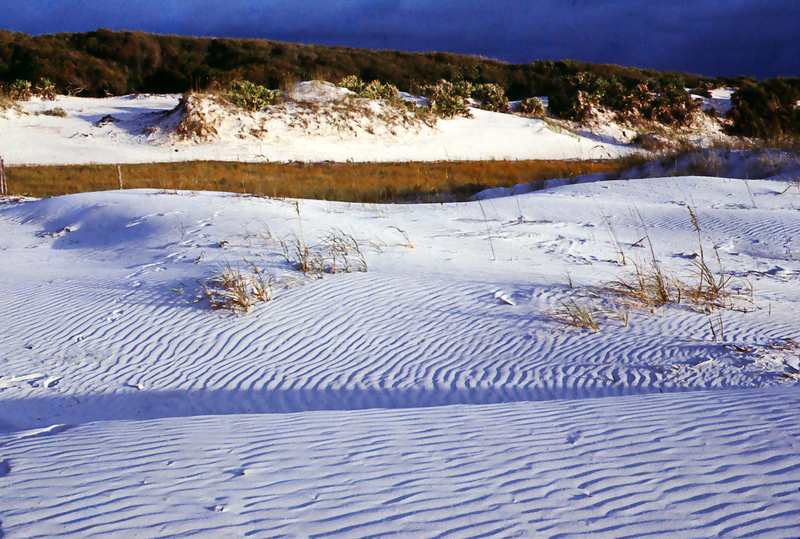 It also includes footage shot on the island over a four-year period that shows Cumberland in all its wild and untamed splendor, throughout the four seasons. Featured in the film are interviews with many people connected with the island, including the writer John McPhee, President Jimmy Carter, writer Robert Coram, artist Gogo Ferguson, historian Mary Miller, Georgia Conservancy founder Hans Neuhauser, and naturalist Carol Ruckdeschel. Customer Review: “What a delightful and amazing experience to watch ‘Cumberland.’ I must say I was tickled, engaged and immersed in so many ways! 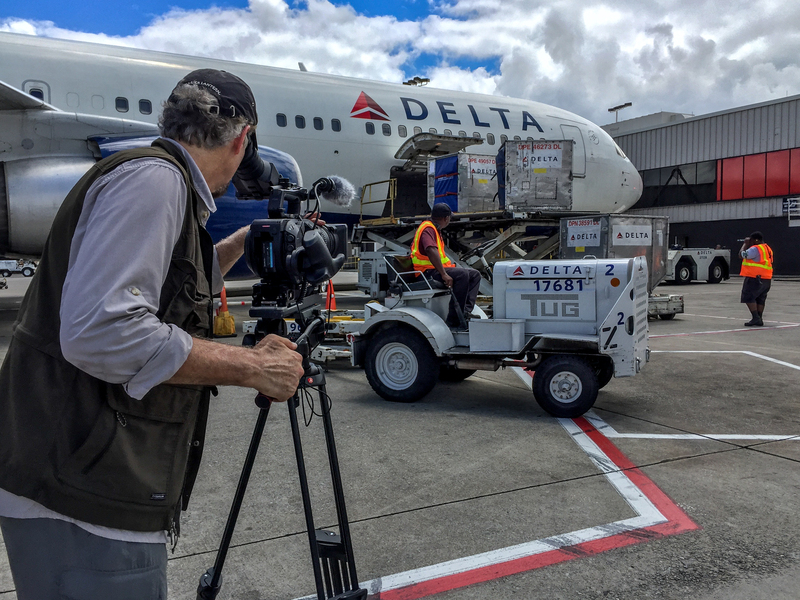 While the cinematography presents a most remarkable perspective to the eye, soul and mind, I appreciate the EFFORT required for manufacturing: the endless bugs, the freezing wind, salt air and it corrosive effects on equipment, sand, vehicles that don’t go. Afternoon shadows on the Cumberland beach. 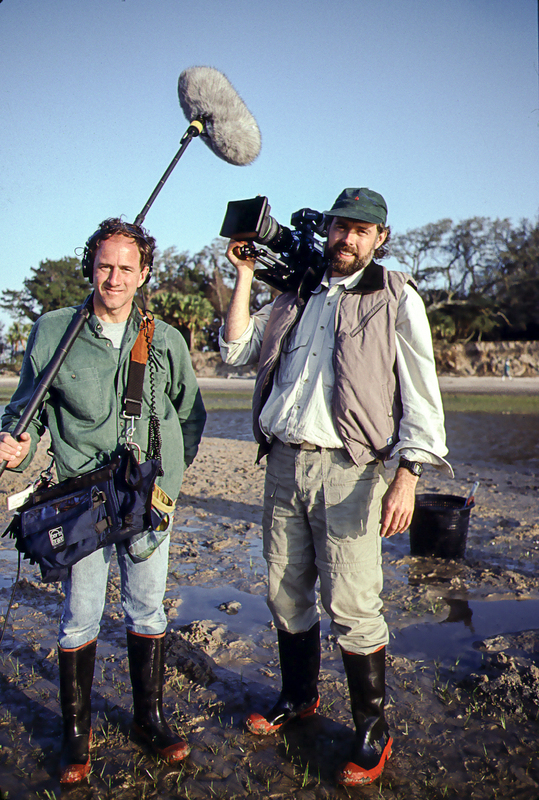 Sound recordist David Terry and director Bill VanDerKloot on location in the marsh muck of Cumberland Island. 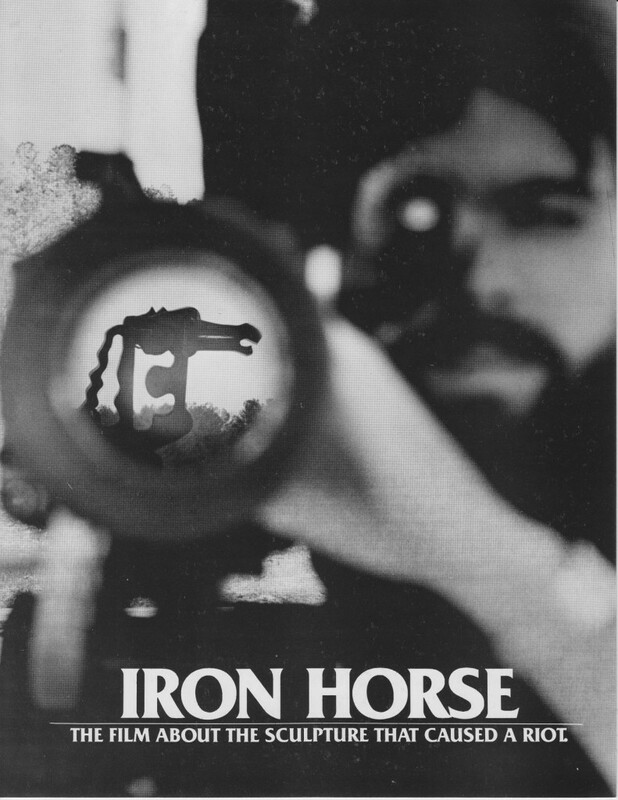 “IRON HORSE”tells the story of a welded-steel sculpture of a horse that was placed on a college campus in 1954 — a first in a planned series of public sculptures. Its first evening on campus, it caused a riot. Over one thousand students defaced the piece and set it on fire. This riot was an example of peoples’ intolerance to new and different ideas. “IRON HORSE” relates this to similar incidents throughout history where works of art have met with violent public rejection. 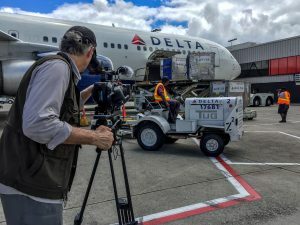 The 30-minute documentary program utilizes interviews, archival footage, and a dramatic recreation of the riot (set to Stravinsky’s “The Rite of Spring”), to depict the way people react to the fear of something they cannot, or will not, understand. 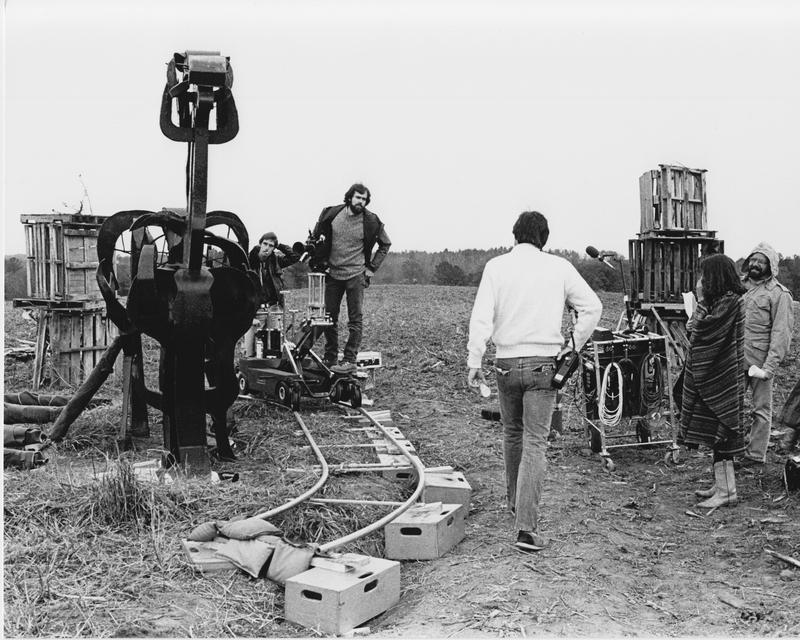 Director Bill VanDerKloot discusses a shot with AD Toby Murphy, script supervisor Annette Haywood, and sound recordist Jim Hawkins. 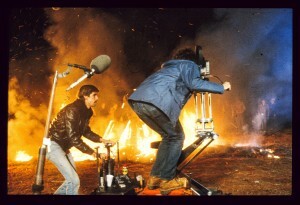 Dolly grip John Kelly and Bill VanDerKloot during the recreated riot sequence in IRON HORSE. 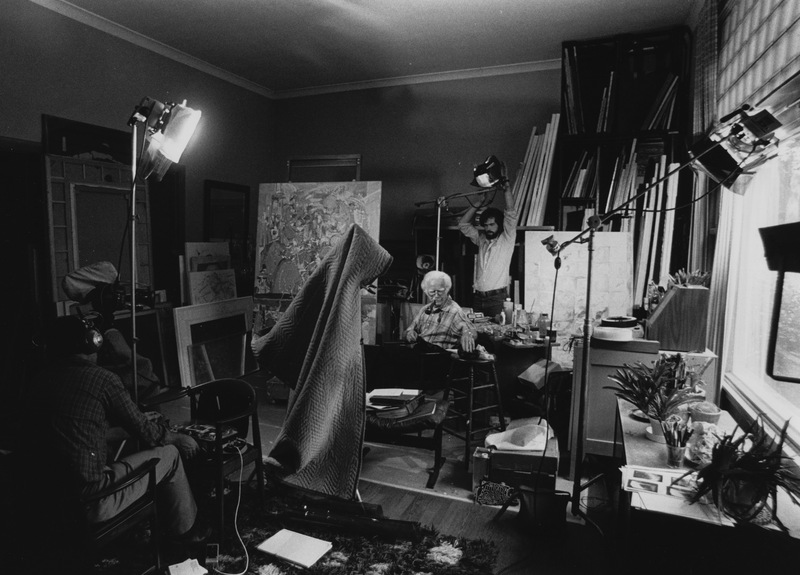 Crew sets up for an interview with UGA Art Department Chair Lamar Dodd.